Should I Bet Online or Offline? Rate this Article Betting online or offline has their own fair share of advantages and disadvantages. In this article, we'll lay out all the facts for both and hopefully, they will help you decide which method is best for you. With the advent of online casinos, and hence, online gambling, many avid casino players are struck with this question - “Should I bet online or offline?” Now, the answer to this question is pretty much subjective to the questioner him or herself, but what we’d like to do for you today is to lay out all the facts and hopefully, they will help you decide which method is best for you. One of the major selling points for online betting is that it’s incredibly convenient. You simply need to hop onto any of your favorite online casinos and voila! You're in a game. Especially with the proliferation of online betting games on the mobile platform, you can literally play a few rounds of slots, poker or blackjack whenever you’ve got some free time and get back to whatever you were doing previously without missing a beat! This is very unlike land-based casinos where you not only have to drive all the way to the casino, which may take a while unless you happen to live nearby; you have to deal with traffic, finding a parking spot, and queues to enter the casino. All that hassle for just a few games now and then isn’t exactly the best use of your time, don’t you think? Cashing in is also a lot simpler online as opposed to offline. Most online casinos provide a wide range of payment options, ranging from credit cards and e-wallets to mobile payments and even cryptocurrencies. The online transaction is secured through multiple layers of encryption as well. Offline betting, on the other hand, usually requires you to bring along a ton of cash to be exchanged for chips, unless you are willing to pay the additional charges to use a credit card. Here, the security is more of the physical sort, where guards, pit bosses and CCTVs will try to keep you and your bag of money safe. 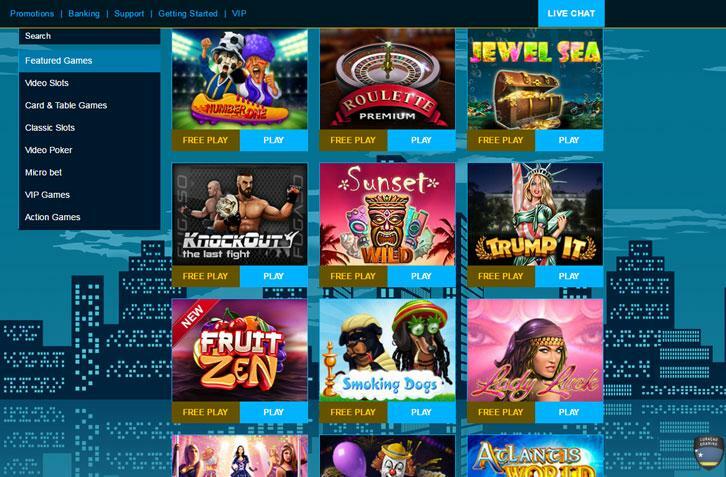 Not to mention, with just a few mouse clicks, you can easily gain access to a myriad of game selections – more than any small, medium or even larger-sized casinos can offer. Some online casinos even allow you to try their games using virtual currencies first before you get to betting real money. Another huge advantage for betting online is the wide range of monetary bonuses, including welcome bonuses, reload bonuses, loyalty rewards, and more, that online casinos, like some of the online casinos here, provide. What most offline casinos provide are free drinks, maybe a small denomination chip and maybe VIP rewards... and that’s about it. It does seem to pale in comparison to the extra spins that you can get from playing online! However, as great as online betting can be, it does have its fair share of disadvantages. One of these disadvantages is its social features. We, humans, are social beings and as such, we crave social interactions. For some, the chat-based social features available online aren’t sufficient to fulfill that craving. They might enjoy the crowds of people at land-based casinos; the feeling of triumph when they managed to pull off the perfect poker face; or simply the fun downtime in between games where they can just chat up some people at the bar. Of course, cashing out is another plus point for offline casinos since there isn’t any waiting time. This is a far cry from online casinos which, mainly due to security reasons, may require a few hours up to a few days just for you to withdraw your winnings. Ultimately, when deciding on whether to play casino games online or offline, it all boils down to what type of player you are. If you enjoy the social interaction and the instant payouts of land-based casinos, then by all means head down to the nearest casino and have fun. However, if you’re the sort who just wants convenience, a ton of bonuses and also access to a wider variety of casino games (more than any average offline casino can offer), then playing online is for you!